We specialize in short deadlines for your Case and finding the best Legal Nurse Consultant Witness. Our director, Rhonda G. Grallnick, R.N., B.S.N. is a Nurse who specializes in Nurse Expert Witnesses and will listen to litigation theories and legal issues, and discuss special concerns regarding the required expert's qualifications including geographic considerations. At no cost to you, advice will be given on which specialty or specialties are best suited for your case and recommendations will be made as to how to proceed. We will carefully screen potential nurses affiliated with leading teaching medical institutions, evaluating their academic credentials, private practices, competence, professionalism, personality and communication skills. 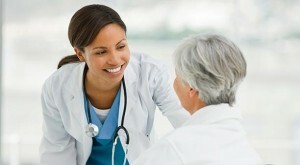 Nurses with plaintiff and defense experience will be favored. Appropriate candidates will be discussed with you in depth prior to your final selection.